Calvin Groom KE6OEH of Las Vegas is the proud new owner of a Yaesu FT70DR dual band, digital and analog handheld transceiver. Calvin's ticket was pulled following the ARRL Forum at last month's NVCON in Verdi, Nevada. The radio was the prize which was raffled by the Sisterhood Of Amateur Radio (SOAR) as a fund raising activity. NVCON is the ARRL Nevada State Convention. Officials from the Girl Scouts of Southern Nevada have announced that as a result of a recent introduction to amateur radio 38 Las Vegas area girls have now been awarded the ARRL Radio and Wireless Technology Patch. ​In late 2017 the Las Vegas based Sisterhood Of Amateur Radio (SOAR) joined with the Girl Scouts to put together a program designed to introduce radio to area girls and to help them on their way towards meeting the many requirements necessary to receive the award. ​SOAR put together a team of radio volunteers from several ham radio organizations and presented a unique "Mini Field Day" February 3rd on the campus of the Girl Scout headquarters. Roughly 60 girls and their leaders attended. ​"Our event was a major success and I hope we can put on more events for the upcoming 2019 membership year" said Evan D'Angelo Operations Director for the Girl Scouts of Southern Nevada. ​The Sisterhood Of Amateur Radio has also been invited by to establish a permanent amateur radio station at the Girl Scout headquarters. ARRL is praising the work of US Representatives Joe Courtney (D-CT), Vicky Hartzler (R-MO), and Mike Rogers (R-AL) for their successful efforts in securing language in the National Defense Authorization Act (NDAA) for Fiscal Year 2019 that aids in the survival and growth of Amateur Radio by giving radio amateurs the right to install an outdoor antenna at their residences with the approval of their homeowners associations. This language — text from the proposed Amateur Radio Parity Act (HR 555) — formed the basis for the Courtney-Hartzler-Rogers Amendment to the NDAA. Recognizing the long-standing relationship between Amateur Radio and the Department of Defense, Congressman Kinzinger — who served multiple tours for the USAF as a fighter pilot and is still a Major in the Air National Guard, and Courtney have been champions of the legislation in Congress. Editors Note: Many of us came to the ranks of amateur radio by having been shortwave listeners (SWL's). Here is am open letter from one adherent to six meter operators. Would you be so kind to forward this email to 6 meter radio clubs and anyone who is interested. I'm SWL since 1971 and began listening in 1988 on 6 meter. Till now I've heard 176 countries (175 confirmed - waiting for the JW7QIA QSL). I prefer to listen to SSB or CW contacts, but the last years more and more stations using the digital modes, so I can not stay behind. Last year (2017) the Sporadic E season was super. I know it's easier to hear a rare country or locator, than to make contact with. For me the real DX with SP/E started half May and the first time with the JT65 mode, I decode many JA stations and VU - A4 - A7 - E44 - 3A (rare one for northern Europe, because of mountains in 3A) - 9K - UN7 - DS - YI - BD0 - XE2JS (DL68) - PJ4 - OX - EK7DX - BV - HL. Last good DX (outside Eur.) opening was July 30. And of course all European countries. The reason that I write this is to let you all know - don't think, it's not possible for me because of mountains or whatever. I got e-mails from stations ( who were giving CQ for a long time without making a contact) who were very surprised that I had decode them and some of them informed me that they have never made contact with Europe. I'm sure that KL7 and VE6 and 7 are possible via SP/ E.
One thing is for sure: you must be patient - need luck - it's a good help when you know where the ES clouds are, so check the sites, like: https://www.dxmaps.com/spots/mapg.php?&HF=N&ML=M&Frec=50&Map=EU and / or http://www.on4kst.com/chat/start.php and of course the sites in the USA and Canada. I hope to hear / decode this year again more new DX stations on the Magic band and remember, keep 50.110 free for rare DX stations. I'm using a homemade converter in a JRC NRD 545 DSP and the antenna is a 5 elem. dual yagi for 4 and 6 mtr. I hope to install the next month my new ant. the 6 elem. LFA Quad. For all a good SP/ E season. I'm checking 6 meter 24 / 7 during the season. The State of Nevada has once again publicly recognized the value of her amateur radio operators in the form of a Governors Proclamation issued on April 30th by Governor Brian Sandoval naming June 2018 as "Amateur Radio Month in Nevada". Public acclamations praising the service of ham radio operator's in the Silver State are not uncommon. A similar proclamation has been issued by Governor Sandoval during each of his eight years in office. The annual recognition of amateur radio dates back to several administrations preceding Governor Sandoval. In addition to the accolades bestowed by the State, Nevada hams frequently receive proclamations, declarations, and decree's from Mayor's, County Commissions, and the private sector. Commenting on the newly issued document, ARRL Nevada Section Manager John Bigley N7UR said, "The proclaiming of June as "Amateur Radio Month in Nevada" resonates the appreciation which our state's leaders and citizens have for the ham radio community and it certainly reflects upon the confidence they have in our ability and commitment to service." Bigley elaborated about the relationship that Nevada has with amateur radio. "On the state level The Nevada Division of Emergency Management and the ARRL Nevada Section maintain a formal relationship, the DEM recognizes the ARRL Field Organization as being an important resource." "Closer to home if you walk into the Situation Room at pretty much any county Emergency Operations Center around the state, you are going to see the vest of their local ARES/RACES Emergency Coordinator slung over the back of a chair. The presence of those vests are a testament to the trust that Nevada's professional Emergency Managers have in our ARRL volunteers." Patrick Murphy W6HXT (89) a longtime member of the Las Vegas amateur radio community, passed away April 20th following several years of declining health. Patrick, has been a local ham radio operator for nearly 40 years, having arrived here in 1979 following his retirement, after 28 years of service, from the U.S. Air Force as a Lieutenant Colonel. ​A native of Hinsdale, Montana, Patrick graduated from High School in Sidney, Montana. After which he worked his way through the University of North Dakota as an engineer at broadcasting stations in Sidney, Montana and Grand Forks, North Dakota. While at the University of North Dakota he earned a Bachelor of Science degree and a commission as a Second Lieutenant in the U.S. Air Force. ​A ham radio operator since the 1950's W6HXT was a long time member of the Las Vegas Repeater Association, the Las Vegas Radio Amateur Club, and the ARRL. He was also a member of the Benevolent and Protective Order of the Elk, and the Knights of Columbus. ​Prior to his final retirement in 1989, Patrick was a manager for Computer Sciences Corp on the Weapons Testing Project for the Department of Energy. W6HXT is survived by Mollie Murphy, his college sweetheart and wife of 66 years, along with his children; daughters Dr. Peggy Murphy of Honolulu, Hawaii, Colleen White, Esq. of Jacksonville Beach, Florida, and son Patrick J. Murphy III of Henderson, Nevada. Lt. Colonel Murphy also is survived by six grandchildren. Visitation will be 4-7 p.m. Tuesday, May 15, at Davis Funeral Home, 6200 S. Eastern Ave. Service will be at 10 a.m. Wednesday, May 16, at Southern Nevada Veterans Memorial Cemetery, 1900 Veterans Memorial Drive, Boulder City. Members of the Nevada amateur radio community were saddened to learn of the passing of well known amateur radio operator Sandra Heyn WA6WZN of Costa Mesa, California. ​Sandi Heyn succumbed at home on April 28th following a three year battle with cancer. She was 75. ​A member and leader of many amateur radio groups, Sandi is remembered by Nevada hams for her long time participation with the ARRL booth and the Ham Radio Operators reception at the annual National Association of Broadcasters conventions in Las Vegas. ​Sandi was a member of the Orange County Amateur Radio Club, the Palomar Amateur Radio Club, the Quarter Century Wireless Association, the Southern California DX Club, the Young Ladies Radio Club of Los Angeles, she was a past officer of the Young Ladies Radio League, a life member of the American Radio Relay League, a member of the Western Country Cousins, the Bishop Amateur Radio Club, and many other amateur radio groups. ​Sandi played a big role in the organization of the 1992 ARRL National Convention in Los Angeles. She was also a member of the ARRL Maxim Society, where by way of her generous financial contributions she has helped to ensure that amateur radio continues for future generations. ​Sandra Heyn was the bride of Fried Heyn WA6WZO for the past 57 years. Both Sandi and Fried were active skiing enthusiasts throughout her life, and could often be found on the slopes of Mammoth Lakes and other ski areas. 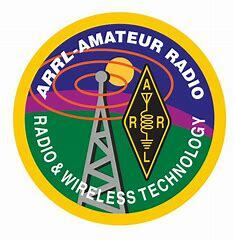 ​Fried Heyn is the Vice President Emeritus of the ARRL and past Director of the ARRL Southwest Division. Together Fried and Sandi Heyn continued as ambassadors for the ARRL and for amateur radio as a whole. Once again, broadcasting professionals from around the world made the trek last week to Las Vegas for the annual National Association of Broadcasters convention. ​The massive 2.25 million square foot convention, boasted more than 1,800 exhibitors, over 100,000 attendees, and $20.3 billion dollars in trade. To the many participants who were also ham radio operators the event would not have been complete without their traditional visit to the ARRL booth. ​In what has become somewhat of yearly pilgrimage, amateur radio operators from around the world, broke away from the hustle and bustle of the show floor and made their way to the lobby of the North Hall to talk over all things ham radio with the volunteer staff of the ARRL booth. Ham operators from Australia, South Korea, Israel, Norway, Canada, England, Ireland, Peru, Brazil, Argentina, Japan, New Zealand, Germany, Belgium, Tanzania, Greenland, U.S. Virgin Islands, Poland, South Africa, Bulgaria, and Spain were among the visitors to sign in at the ARRL booth. ​The ARRL booth is managed by Nevada Section Manager John Bigley N7UR and was staffed by volunteers from various Nevada amateur radio groups. ARRL Second Vice President Bob Vallio W6RGG and East Bay Section Manager Elect Jim Siemens AF6PU were also on hand to assist in the booth and to greet visitors. ​Booth visitors were able to gain assistance in licensing, renewing their ARRL memberships, accessing ARRL services and programs, and how to find classes and examination sites in their local communities. League members were able to discuss issues which they felt are important to their personal enjoyment of amateur radio. Wednesday evening the NAB again hosted it's hugely popular Amateur Radio Operators Convention at the Westgate Hotel. Section Manager Bigley thanked the attendees for participating and welcomed them to Las Vegas. He also publicly acknowledged the ARRL volunteers for their work at the convention. SM Bigley then introduced ARRL Vice President Bob Vallio who thanked NAB, Broadcast Supply Worldwide and Turner Engineering for sponsoring the reception. Vallio also thanked the NAB for once again endowing the ARRL with the booth. A Nevada ham radio operator who was as famous locally for his five acre loop antenna as he was for being the host of the most listened to night time radio program in the country has died. ​Art Bell W6OBB (4F1AB) passed away Friday at his Pahrump, Nevada home, 47 miles northwest of Las Vegas. Nye County Sheriff Sharon Wehlry announced Bell's death in a video released on social media. Wehlry did not give a cause of death and stated that an autopsy is scheduled for Thursday. Bell, who was 72, suffered from lung disease and other ailments. He was hospitalized in 2016 for pneumonia. ​Known world wide, Bell was the host of "Coast to Coast AM" an up-all-night program that featured paranormal activity, UFO encounters, and conspiracies of every type. His program was carried on more than 500 broadcast stations. With more than 15 million nightly listeners, Bell's show was the highest listened to night time program and the fourth highest listened to program overall on the radio. As is the case with many in the broadcasting field, Art Bell's journey through radio began as a kid. Born at Camp Lejeune, North Carolina to Marine Corp parents, his father (then) a Captain and his mother a Drill Instructor, Bell entered the world of radio in 1956 at age 11 when he discovered his grandmothers old upright console AM Shortwave band radio. Shortly thereafter he met a nuclear scientist who lived down the street from him in Media, Pennsylvania, The scientist was a ham who Elmered young Art into amateur radio. At age 13 Art Bell earned his Novice ticket with the call KN3JOX and got on the air using a Heathkit AT-1 transmitter and a Heathkit AC-3 receiver. He soon upgraded to General and the call K3JOX. Later a 1966 move to Patterson, New Jersey saw him receive call sign W2CKS. Bell would later be KR6BK in Okinawa and 4F1AB in the Philippines. Bell also later obtained a commercial First Class Radiotelephone Operators License. ​Bell said that during his adolescent years he divided his daily time between operating his ham station and hanging out at commercial broadcasting stations. He landed his first on the air job reading the news at a New Jersey FM religious broadcast station. ​Like his parents, Art Bell served in the military as a Vietnam era U.S. Air Force medic. It was in the Air Force that he again entered broadcasting, albeit by illegally operating a pirate radio station at the Amarillo Air Base. It was in Amarillo that Bell exhibited his penchant for things that are not the norm. Not only was he in the military and was operating an illegal radio station, but he had an anti-war programming format. Following his 4 year stint in the military, Bell migrated to Japan and to the island of Okinawa where he became a Disc Jockey at KSBK-AM in Naha. KSBK was Japan's only English language station and it fulfilled the GI's stationed in the area's thirst for rock-n-roll music. ​It was at KSBK that Art Bell was purported to have set a Guinness World Record for the longest time teeter-tottering. Later in Anchorage, Alaska he set a second Guinness Record for staying solo on the air continuously for 116 hours and 15 minutes at station KENI. That stunt raised enough money to enable Bell to charter a DC-8 to fly to Vietnam and rescue 130 orphans who were adopted by families in the United States. ​Returning to the lower states, Bell held numerous jobs in radio and cable television, both as an engineer and as a DJ before entering the talk radio arena. ​Las Vegas hams will recall that Bell was the Chief Technician who built Times-Mirror cable television (now Cox Cablevision) in Las Vegas In 1978 a friend of his, Jack Daniels talked Bell into joining him on the air at K-DaWN (KWDN 720 AM) broadcasting a political commentary show from the Plaza Hotel Casino on Freemont street. KWDN became a 50,000 watt directional nighttime station in 1983 allowing the signal to cover 13 states in the western United States. Bell changed the name of his program to "West Coast AM". In 1993 the show became nationally syndicated and Bell moved the now "Coast to Coast AM" show from the studios in the Plaza Hotel to his home in Pahrump. Bell often referred to amateur radio as "magical" and reported that he had operated most modes and aspects of amateur radio. In Nevada a favorite haunt of Bell's was a spot at 3830 kHz on 75 meters where he would gather with his cronies and a select group of followers and operate as Whiskey Six Old Broken Bottles. ​In the Philippines antenna restrictions kept Bell on the upper HF bands and on 2 meters. Bell reported that he was surprised to find 20 meters and up was open during the night in that portion of the world. He also made use of 2 meters and Echolink to keep in touch with his ham friends back in the States. The pride of Bell's Pahrump amateur radio station was his huge double loop antenna. Fabricated from 10 gauge wire and supported by thirteen 76 foot tall towers, the antenna is resonate on 640 kHz and operates on 160, 80, and 40 meters. Bells personal life was as controversial as were his radio programs. In 1998 and again in 2000 Bell announced his sudden retirement due to threats against his family. Both times he returned to the airwaves shortly thereafter. He retired again in 2002 citing an old back injury. He returned in 2003 and in 2005 he again retired. Several more retirements and new programs dotted the remainder of his life. ​Art Bell was married four times with the first two ending in divorce. Bell met his third wife Ramona while they were both working at KDWN in Las Vegas. ​Reportedly Art and Ramona Bell never spent a day apart during their fifteen years of marriage. In 2006 Ramona Bell passed away in her sleep at the age of 47 while on a weekend get-away with Art in Laughlin. She had suffered from chronic asthma her entire life. The death of Ramona seems to have triggered a series of life and career changing events for Art Bell in his final decade. ​Three months following Ramona's death, Bell and a ham radio friend travelled to the Philippines and in a double ceremony Art Bell married Airyn Ruiz and his friend married her sister. Citing problems with his new wife's visa, the Bells moved to the Philippines where Art began producing his radio show. In the Philippines Bell obtained amateur radio license 4F1AB and operated from the 19th floor of his condominium with a clandestine dipole which he snuck onto the roof. When the Board of Directors made him remove his antennas he decided to leave the Philippines and return to his Pahrump home. ​Following his return to Pahrump Art had several off and on returns to radio, including a short lived stint "Art Bell's Dark Matter" on Sirius satellite radio, and "Midnight in the Desert". In 2015 Art Bell left the airwaves after reporting that someone had been shooting at his home in Pahrump. ​Besides his radio career, Art Bell also authored several books and had appeared on numerous television shows and in movies, most often portraying himself. ​Art Bell is survived by his wife Airyn Bell and their children Asia Rayne Bell and Alex Bell. Art Bell also had three other children from his previous marriages, Lisa Minei Bell, Arthur Bell IV, and Vincent Pontius Bell. Art Bell's widow, Airyn is a licensed amateur radio operator in the Philippines. Amateur radio operators interested in emergency and disaster communications gathered Saturday morning to exhibit their mobile and portable operations. Hosted by Frank (N7ZEV) and Linda (KC7IIT) Kostelac and sponsored by Clark County ARES/RACES the annual event drew a number of unique set-ups ranging from a bicycle mobile to a fully equipped MARS comm center. ​Spectators were able to see the various stations in operation and to gather useful knowledge in how to set up their own mobile operations to facilitate not only voice communications but digital and some more exotic modes as well. gns Purviance and Sheldon were praying that this tiny touch of home might help to ease a different kind of pain than hunger. 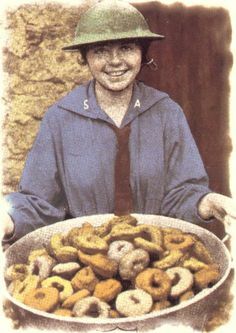 Despite working extremely long days, the first Dough-nut Girls could only produce 150 doughnuts per day. They began to improvise, first using a wine bottle as a rolling pin and later finding an elderly blacksmith to make dough cutters from discarded cans and lids. In 1983 Wilse Morgan WX7P became amateur radio's very first Volunteer Examiner. Since then, thousands of hams have given their time and energy to administer license testing to the ham radio community. Nevada amateurs have been a proud part of that tradition. ​The Nevada Section salutes all of our Volunteer Examiners, especially these twelve hams who each have administered more than 100 test sessions. There are currently 249 hams from Nevada enrolled with the ARRL VEC and a number of hams are also enrolled in the W5YI VEC and other VEC programs. Girl Scouts and Girl Scout leaders from throughout Southern Nevada recently received a preview of next weeks "Radio and Wireless Tech Field Day" which will be presented by the Sisterhood Of Amateur Radio (SOAR). ​An estimated 900 participants at the annual Girl Scout 'Cookie Rally' got the opportunity to meet the ladies of SOAR, talk on a radio, and get some tips and pointers on meeting the requirements for the ARRL Girl Scout Radio and Wireless Technology patch. They also were able to pre-register for the upcoming "mini field day" event. ​More than 70 scouts and 40 adult leaders are already registered to participate in the one day event which will mix hands on amateur radio communications with the explorations of other communications means, such as broadcast radio. ​SOAR took on the task after being challenged by Nevada Section Manager John Bigley N7ur with an initiative to introduce the ARRL Girl Scout patch program to Southern Nevada. ​Project Leader Sandra Edmonds K7SJE and SOAR Activities Chairwoman Cathy Etheredge N7HVN have served as liaisons with the Girl Scouts and have been the principal architects of the upcoming event. Section Manager Bigley said, "SOAR is one of those rare groups of which you can toss out an idea or a request and they always take off and run with it." After a few decades of absence, student amateur radio has returned to the campus of the University of Nevada-Reno. ​UNR students have formed the University of Nevada-Reno Amateur Radio Club. The club organizers have met the requirements for the club to be officially sanctioned by the Department of Clubs and Organizations of the Associated Students of the University of Nevada (ASUN). ​For a club to gain recognition by UNR it must be a 100% student initiated endeavor and must follow guidelines which include maintaining a membership quota. ​The club has selected it's first Executive Board of officers, which include President - Marco Guerrero, Vice President - Grant Kennedy, Secretary - Sierra Bivens, and Treasurer - Ariel Estrada. ​The University of Nevada-Reno has a long history involving radio. Dr. Stanley Palmer initiated the first forays into radio at UNR shortly after coming to UNR in 1915. Palmer was a professor of electrical engineering from 1915 until 1941 when he became the dean of the College of Engineer-ing. He held that position until 1957. The Palmer Engineering Building is named in his honor. ​On May 1st 1922 UNR was granted radio station KOJ but the license was revoked on June 7th of that year, presumably because the station construction was not completed within the 90 day allotment allowed by the government for station completion in those days. ​The UNR-RadioPack club amateur radio group remains active to this day. The group is composed primarily of alumni, staff, and supporters of UNR and amateur radio.